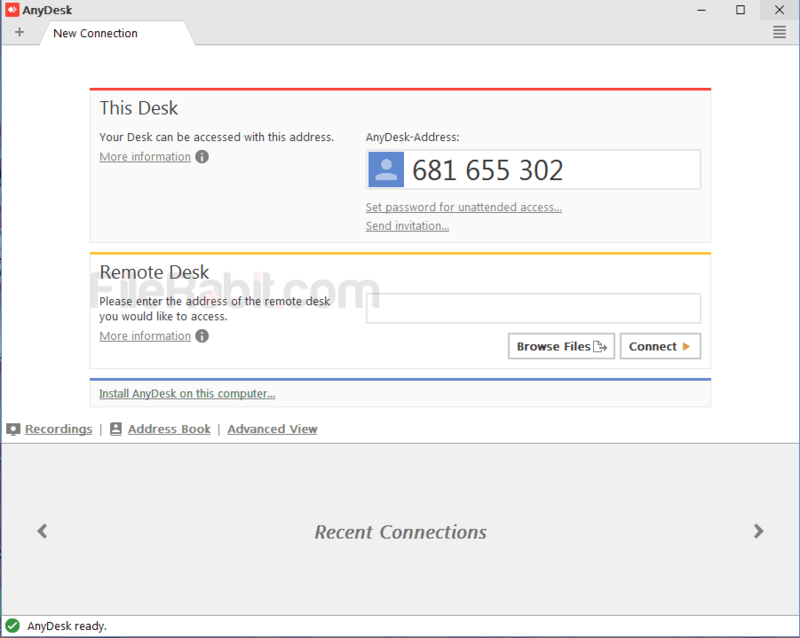 Anydesk is remote desktop application that is used to share PC screen. 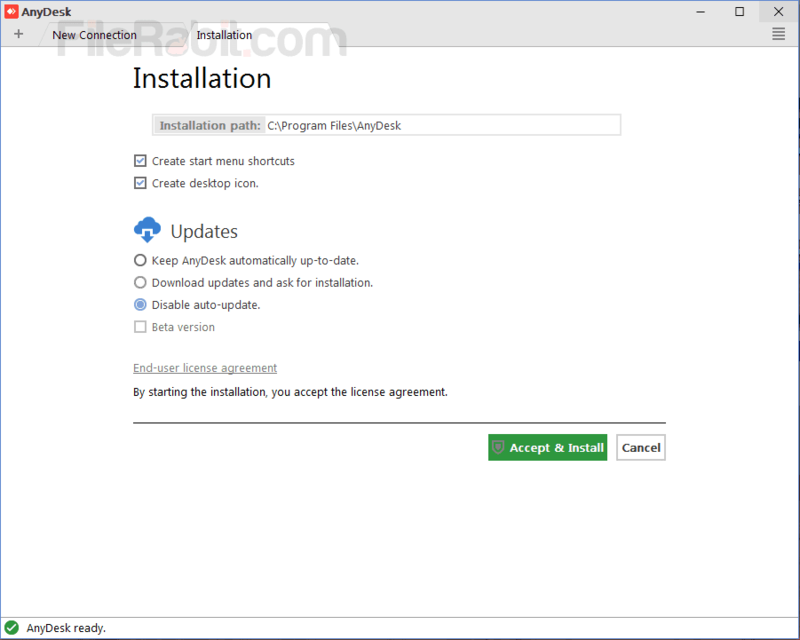 You may have used some similar apps but its simple, light and fast that uses internal codecs. It has fresh and good looking attractive user interface. Its most secure and encrypted desktop sharing software as comparing to Teamviewer. 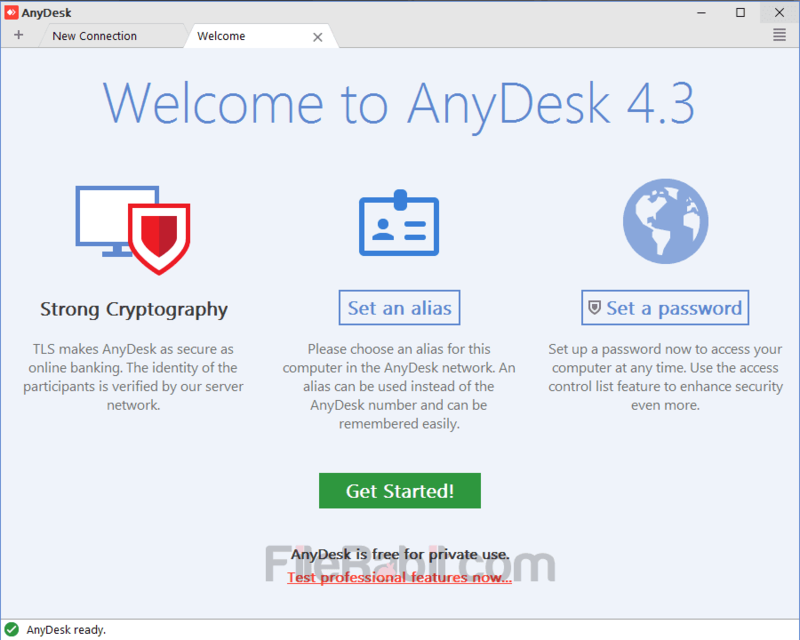 Anydesk is providing secure connection between two PC’s in office or from anywhere around the world. It will use 60 FPS to have fast data transmission without facing lags or hangs. Good news for low bandwidth connections because it will continues perfectly working on even 100/kbs of net connection. 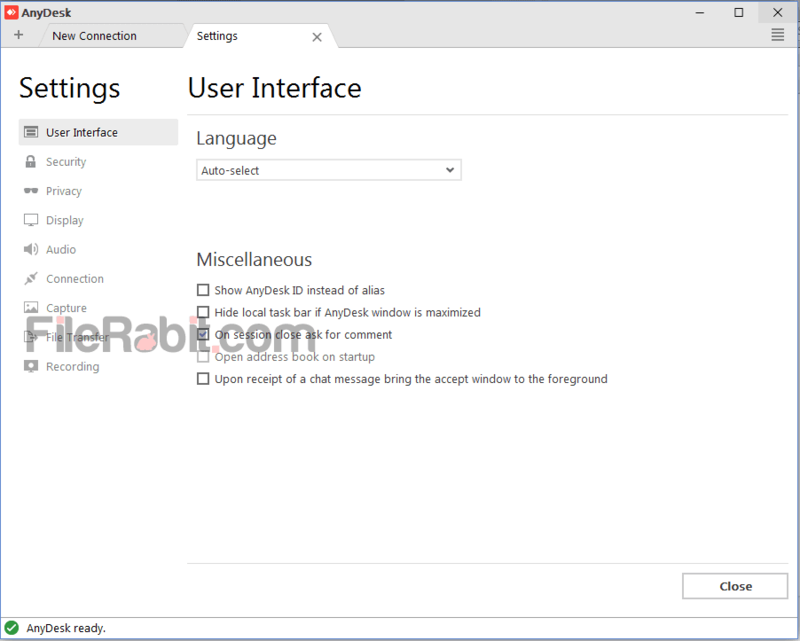 However, it gives ultimate control to other desktop or laptop computer easily. No one can access your connection while data transfer or attending a meeting. It share unique ID and password for both computers to connect with each other. Hackers and seekers are always seeking these connections but reliable, secure and encrypted connections of Anydesk can’t be accessible. Through easy steps, you can easily start data transfer including movies, audios, applications, documents and other data. You can even get access to other’s computer with desktop, My Documents as well as all local hard disk drives. Simply, right click on target file or folder, choose copy and paste it on required location. The data transfer speed will always depending on your network connection. The built-in file transfer is most simple way to transfer files between multiple computers.